Who doesn't love cheese? I am a HUGE fan of cheese, especially the Provolones, Americans and Swiss varieties. I never really loved cheese exclusively until I met and married my husband. He has a love for cheese and the odd part about the way he eats it is that he loves to dip it into applesauce. Huh??? I don't get it either but he loves it and that is one of his favorite bedtime snacks. So, like I said I am a fan of several different kinds of cheeses. I love to make turkey sandwiches with lettuce, tomato, onion, mayo, oregano and Provolone cheese. Usually, I prefer my sandwiches on a large kaiser roll...oh yes, and also with a side of chips and a soda! :) We like to buy deli-style cheese and usually our cheese comes in sliced form. Hubby makes the BEST homemade macaroni and cheese and for that he uses a half pound of extra sharp cheddar cheese...in chunk form and then shredded. So, yes. We do love our cheeses around here! Today, I have the opportunity to introduce a cheese company to you all that I myself had never tried until today! 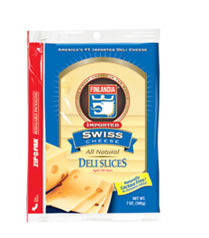 Finlandia Cheese is known as America's #1 Imported deli cheese company and they offer a variety of specialty cheeses. At Finlandia, we're passionate about bringing you great tasting cheeses that are also great for you ... and we're committed to doing that in an environmentally responsible manner. Good raw milk is based on healthy and happy animals, high-quality silage, systematic feeding, and appropriate production conditions. Quality assurance procedures make the dairy farms that produce Valio's milk an integral part of the Valio Group operating system. The raw milk processed at The Valio Group dairies for Finlandia Cheese is always Finnish. It is produced in Finland on family-owned dairy farms that typically have 21 cows and 91 acres of pasture. There is nothing like raw milk and the rich flavor of it...which is what really sets Finlandia Cheeses apart from all the rest. I went to my local Wegmans shopping center and thankfully, the cheese was not hard to find at all. They only had one kind there, so I picked that and the flavor was the Swiss All Natural Deli Slices. This cheese retails for about $4.29/half pound. This cheese is really different in flavor. I am used to a soft and mild tasting Swiss but this was a bit harder and stronger in flavor. It also has a slightly nutty flavor that just gives it a little extra boost. I, personally, liked it very much. Surprisingly, my husband wasn't thrilled. He didn't care for the flavor and texture. 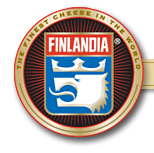 Finlandia Cheeses are available in select locations across the United States. 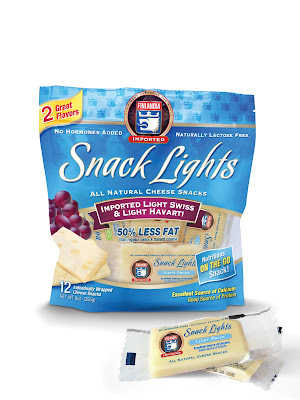 To find a location near you or to see if they are in your area, click on their Store tab...this will give you a listing of each state and store in which this delectable cheese is found. Visit Finlandia, then come back here and leave a comment letting me know which cheese you would most like to try. :) You do not have to be a blogger to enter, but you must have a valid email where you can be reached should you win. If you do not leave an email address, it must be where I can easily find it. This giveaway is open to US residents and will end 9/12 at 11:59 pm EST. The winner will be chosen using random.org and will be notified by email. The winner will have 48 hours to respond, or another winner will be selected. 4. Vote for me on Picket Fence Blogs. 1 entry per day, so 1 comment per day. 5. Leave a comment on any review only post. 1 entry per post commented on..tell me the name of the post on which you commented. Unlimited. 6. Add this giveaway to a linky. Leave me the link to the linky list it was added to. 1 entry per linky. 7. Blog about this giveaway. Leave me a DIRECT link to your post. 5 entries, so 5 comments. 8. Tell me the name of a recipe in which you LOVE to use cheese! Share the recipe if you wish! :) 1 entry. 9. Sign up for Finlandia's Newsletter (and get 2 $1.00 off coupons just for signing up!). 2 entries, so 2 comments. Disclaimer: I received no monetary compensation for this post. I did receive a coupon for free Finlandia product for review purposes. All quotes and stock photos are from the Finlandia website and email. All thoughts and opinions are 100% mine. i most want to try the lacey swiss variety! I would love to try either their muenster or Swiss! I would love to try the Havarti cheese. One of my favorite grilled cheese recipes (an indulgent one only for special occasions) is gouda cheese with deli ham and a dijonnaise spread on pumpernickel bread. Top it with thinly sliced tomatoes and green onions, grill it to perfection, and yum, yum, cheesy goodness. My mouth is watering already. I followed in my opinion via GFC! One of my favorite cheese recipes is King Ranch Chicken---yummy Tex Mex! I'd like to try the Imported Muenster. We love to use cheese on a taco dip that we make for football games. Brown ground meat & mix with salsa. Soften cream cheese & spread it in the bottom of a 9x9 baking dish. Spread the meat mixture over the cream cheese & top it with as much cheese as you like. Put the dip in the microwave & nuke it until the cheese is melted. (Or put it in a 350 degree oven & bake until the cheese is melted) Serve it up with taco chips. I'd like to try the Gouda deli sticks. I most want to try the Thin Sliced Swiss. I'd like to try the Havarti. I'd like to try the Imported Havarti! I'd love to try the Muenster. Mmm! Thank you for giving me this opportunity! #1 - I'm a GFC follower. #2 - I'm a GFC follower. #3 - I'm a GFC follower. I love to use cheese on pizza, lasagna and vegetable sandwiches.